Why is it that some individuals give up in the face of a challenge while others are able to rise above? Wile it is easier to give up, it is through your challenges that you are able to grow. These courageous, real-life stories are true examples of loss, pain, and devastation. You will be taken through stories of addiction, abuse, domestic violence, and grief. As you feel the pain of each struggle, you will also gain valuable insight as to how each person was able to persevere. 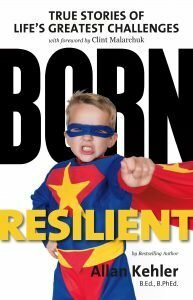 In learning from these triumphs, it will become evident that we are not created to give up in the face of adversity... we are born resilient.